Philadelphia Union at Sporting KC – 5:25pm (ish) NBCSN: SKC is just fun to watch and Philly is fighting for a playoff spot. BC Lions at Calgary Stampeders – 7pm ESPNNEWS: Calgary is the best team in the CFL but their old QB Kevin Glenn leads a solid BC team into Alberta. Portland Timbers at LA Galaxy – Noon NBC: Timbers are looking better but LA is coming off of a thrashing of Seattle in Seattle this past Monday. KC Royals at Oakland A’s – 1pm MLB.TV: Jon Lester’s first start for the A’s. We think. Manchester United vs Real Madrid – 1pm FOX: Hopefully we’ll have the ‘Gus Effect’. Real Salt Lake at Colorado Rapids – 6pm MLS LIVE: Rocky Mountain Cup is on the line in Denver. KC Royals at Oakland A’s – 1pm MLB.TV: Another good pitching matchup with Shields v Kazmir. NY Giants vs Buffalo Bills – 5pm NBC: The NFL is back….for preseason at least. The Hall of Fame game sees two teams that need to answer a lot of questions this preseason. It also brings back Cris Collinsworth. Ugh. Peyton Manning can do a lot of things. Dancing to ‘Rocky Top’ apparently isn’t one of them. Truth be told, no one looks very good dancing to the default Tennessee fight song. However, if you think about it, Manning would probably be a really good programmer. A good developer is a good problem solver. Like, a really good problem solver. In a nutshell, they have to take a problem, break it down into pieces, figure out the dependencies and then create a solution. Sounds a lot like an NFL QB. Manning does something similar. He looks at a defense, breaks it down into individual match ups, finds the best one for success and then executes the play. Except he does that in 40 seconds during the game. As you can see there are similarities in the two roles. At the core is the ability to problem solve and being quick at doing that comes with experience and practice. While developers have the luxury or Google and StackOverflow.com at their fingertips to find solutions, Manning only has game film to study the week of and nothing but what he sees during the game. While no one really knows when Manning will finish his playing career or if he would ever venture into the world of code, it is an option. 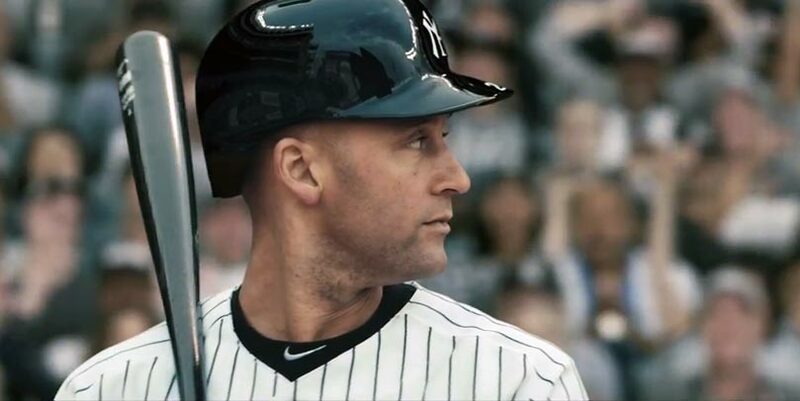 Even if you are not a New York Yankees fan or even a baseball fan you know who Derek Jeter is. You also probably know that he is retiring at the end of the season after 20 years in Major League Baseball all with the Yankees. You may not like him you but you should respect him and what he’s done. The New York Yankees are the gold standard by which other professional franchises are compared. Only the Montreal Canadiens and Dallas Cowboys come close in North American sports. Derek Jeter is exemplifies that gold standard. He does hold some amazing records such as most post season appearances and being the all time hits leader for the Yankees. He will no doubt be a hall of famer on the first ballot. He has also been the Yankees ‘Captain’ since 2003. He is one of 14 players who have been ‘Captain’ of the New York Yankees which is saying something since the Yankees have been around since 1901. Only two other MLB teams even have captains. With the sport the way it is in this day and age, players generally do not stick around long enough to be considered for the role. While Jeter’s stats and length of service have been admirable it’s the way he carries himself that really deserves appreciation. He shows up everyday and works hard. He is consistent and is someone the Yankees and baseball have come to rely upon for over 20 years. 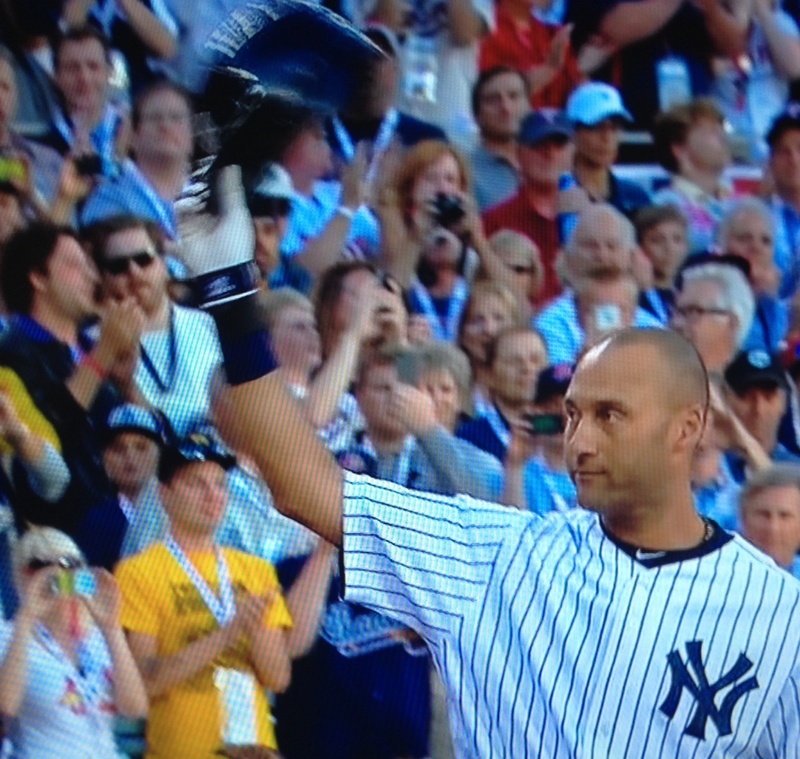 It will be a sad day when Jeter tips his cap for the final time. He is the gold standard for how baseball should be played. He should be celebrated and appreciated. He is afterall, The Captain. Monday kicks off four of the slowest sports days in North America. MLB takes their All-Star break which use to mean that there were no professional sports played the day before or the day after the Tuesday game making it some of the only days of the year without a live professional sporting event. This year is a little different. Three organizations decided to finally take advantage of this wasteland. FIrst MLS. Major League Soccer will have matches on Wednesday and one will be televised nationally on ESPN2 (New York vs Philadelphia). The second is the UFC. Donald ‘Cowboy’ Cerrone will meet Jim Miller in Atlantic City, NJ on FS1. Why they won’t fight until around midnight east coast time is beyond reason but it’s a good fight none the less. The third is the CFL. The Canadian Football League will have the Edmonton Eskimos at the Winnipeg Blue Bombers. Best part about this, both teams are undefeated at 3-0 and have looked very good in their first three games. The MLB All-Star break use to mean that the sports world shut down for a few days except for the Summer Classic. But times are a changin and with it comes soccer, mma and football. With the 2014 World Cup wrapping up a lot of people will look back and remember different things. Whether the goals by Robin Van Persie and Tim Cahill or the run by Costa Rica or the biting incident. Everyone will remember something. Most people though may just remember how Brazil and their fans couldn’t lose with dignity. There apparently is crying in soccer, at least for the fans of Brazil’s national team. Images were plastered around the globe as Brazil gave up five goals in under twenty minutes to the German national team in the World Cup semifinals. People young and old were shown as if a member of their family died when in reality their team just gave up. The kicker to this is the players afterwards crying. David Luiz gave a tearful interview apologizing to the fans. Apologies are one thing, not stepping up and going down swinging is another. The fact is Brazil was beatable and was living on borrowed time. Germany exposed that fact. Yes Brazil was without their captain and best defender Thiago Silva and their superstar Neymar but that still doesn’t excuse the fact that no one from the team stepped up when they went down. No one fought back. No one challenged the Germans. Either they were in shock at what was happening or no one had the gaul to step up and be a leader. It was, in a word, shameful. Teams get behind early all the time in all sports but all is not lost. Take Liverpool’s comeback in the Champions League final in 2005. Down 3-0 at halftime Steven Gerrard put the team on his back and helped lead them to a win via a shootout. Another example is the 2006 AFC Championship game where the Indianapolis Colts were down 21-6 at the half to their kryptonite, the New England Patriots. Peyton Manning refuses to lose and leads the Colts to not only a 38-34 win but also a Super Bowl victory two weeks later. The point is that big players step up in big games, even when they’re down. No one from Brazil did that and most of these players play for big clubs around the world. In the end it may not of mattered as Germany poured on two more goals but at least those players could have walked off the pitch with their head held high knowing that they battled to the end. Brazil’s players can take no such solace. On another note, if you’re a fan of Brazil, don’t cry be upset! Be upset at the eleven players on the pitch who gave up. And for the adults who were shown on TV crying with over an hour left to play, cowboy up. It’s one thing of a child to be crying but you adults no better. Have some dignity. Anyone over the age of 30 in America heard this term a lot growing up. Traditional American sports (baseball, football, basketball) don’t have ties or draws. At the end of a game there is a definitive winner and loser. No points are garnered to go along with the win either. In other words it’s not like soccer where a draw can be viewed as a win. Around the globe where where soccer is, usually, the number one sport, draws are not always bad things. Why? You still get a point vs zero points for a loss. Obviously a team always wants a win and the three points but if a team is on the road in a tough environment then a single point can sometimes be a victory. For the home team three points is a given. If they come away with a draw it’s almost like a loss. It’s still a point but they left two points on the table. There is where the ambiguity comes in. Americans and the media don’t do well with that. Take the US National Team in the World Cup. They went 1-2-1 overall for a total of four points. All those points came in their first two matches and that was enough to help them advance to the knockout stage where they lost a heartbreaker to Belgium. This is seen as a success in the eyes of many including the media and non soccer fans. When MLS first started in 1996 they tried to avoid draws by having shootouts decide games. They dumped it a few years later because it alienated traditional soccer fans and didn’t gain any new ones. Look at it from another perspective. September 2, 1945. The formal surrender of Japan to the US that took place on the deck of the USS Missouri. April 30, 1975 was the fall of Saigon. Definitive ends to conflicts. Contrast those two events with the ‘War on Terror’. A conflict which will probably never have a definitive ending. We are by no means trying to compare soccer to warfare. We are just trying to give some background about American psychology. With draws, it is a matter of perspective. While both teams receive points and usually a team ‘lost’ points. In the end the points are what matter but a positive takeaway on a draw by a team could be just as important. Look at the US National Team. One point against Portugal was good enough to help them to get through to the next round but it felt kind of like a loss because they played so well and Portugal had to steal a goal at the end just to get a draw. While liking and disliking something is a personal preference or choice it is influenced by those around you. For a very long time the preference or choice was to have a clear cut winner and loser in American sports. Now that’s changing. Americans are becoming ok with draw because they are beginning to see the bigger picture. They are looking at the right metric. A point is a point. Yeah three would be nice but one is still better than none. With that change comes an opportunity for soccer to elevate its profile in America. While soccer may never be ‘big’ in America it can certainly be a very viable product and with that should come a different perspective on the world at large. Very quickly on Team USA. Back to back appearances in the road of 16 is something to be proud of. While the argument can be made that the US should have gone deeper into the tournament it is clear that the team continues to get better each and every World Cup. Yes, Howard was amazing against Belgium but do not overlook the work done by Matt Besler, Jermaine Jones, Kyle Beckermann and Fabian Johnson. Add in youngsters like Julian Green and DeAndre Yedlin contributing like they did and things are looking up for the Gold Cup and the next round of World Cup qualifying not to mention 2018. Yet from CBS to ESPN, media anchors and producers continue to bang the drum and remind people that soccer isn’t the NFL, but it’s big in the rest of the world. They also ask the question, ‘what will it take for soccer to be big in America?’ It already is folks. How? Lets take some metrics. While we didn’t painstakingly go back and count how many live shots there were from Brazil or how many mentions of the World Cup or Team USA there were across all the media outlets, the fact is that there was a lot. Most of those mentions were positive too. Then there are the ratings. Some 23 million Americans watched the USA v Belgium match on TV and online Tuesday afternoon. That doesn’t count group events like bars, offices, and the thousands that showed up at viewing parties like the one at Soldier Field. Yet outlets and pundits continue to doubt. Keith Olbermann the other night on his show complained that American’s should use American terminology and not a traditional soccer vocabulary. He went as far as claiming that while Ian Darke is great, soccer will not be accepted in this country because there is not an American announcer. 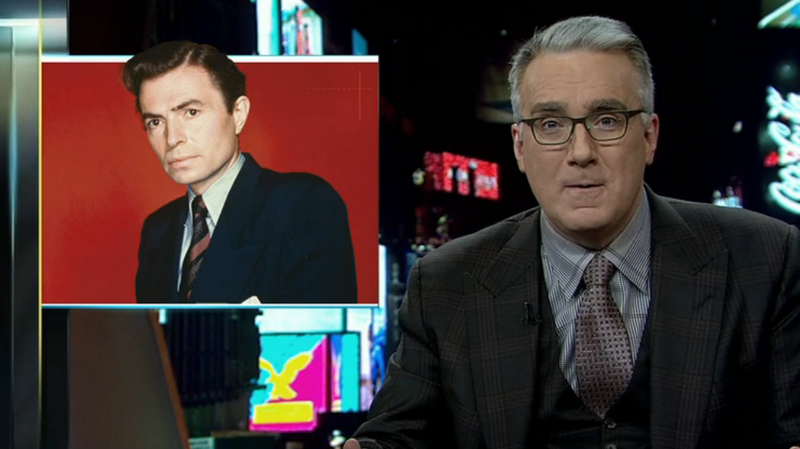 Guess Olbermann missed the 2006 World Cup when American fans rebelled against American announcer Dave O’Brien for his inexperience and poor performance. Olbermann will get his wish though in the next World Cup when the broadcast rights switch over to Fox which will use Gus Johnson as their main announcer. It is clear that soccer is making it in America. The viewership shows that. The media that is doubting it shows that. Is it the NFL? Of course not but nothing is. Not MLB, NBA or the NHL. Some telling signs to look for in the future include attendance and ratings of MLS games over the next few seasons. In part two we’ll dive into why the media and the non soccer community in general continue to ask these questions.